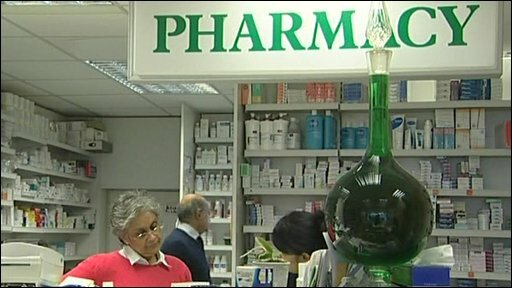 The head of a government health advisory body has accused pharmaceutical companies of driving up the price of medicine. Professor Sir Michael Rawlins says drugs are expensive because of "perverse incentives" in the pharmaceutical industry. The chairman of the National Institute for Clinical Excellence (NICE) made his comments to the Observer newspaper. NICE has recently been criticised for failing to approve kidney cancer drugs. It advises the NHS in England and Wales on which drugs to buy. Sir Michael said: "We are told we are being mean all the time but what nobody mentions is why the drugs are so expensive. "Pharmaceutical companies have enjoyed double-digit growth year on year and they are out to sustain that, not least because their senior management's earnings are related to the share price. Pharmaceutical companies make a huge investment into public health when they develop a new medicine. "It's not in their interests to take less profit, personally as well as from the point of view of the business. All these perverse incentives drive the price up." Sir Michael said companies set high prices as a means of "cushioning" against the time when their products are no longer protected by patents and competitors can then make cheaper versions. He also said: "The other thing we have to pay for is the costs of marketing. Marketing costs generally are about twice the spend on research and development." A spokeswoman for the Association of the British Pharmaceutical Industry said drugs companies insist they are committed to cutting prices. 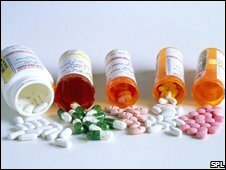 "Of course, pharmaceutical companies make a huge investment into public health when they develop a new medicine. "It costs on average £550m, and takes more than 10 years, to bring each new treatment to patients. "Naturally companies will look to recoup such costs through the final price." BBC health reporter James Cook said drug companies also claim that without the vast sums they invest in research and development, many life saving drugs would not exist at all. There are treatments for advanced kidney cancer that are widely available elsewhere in Europe, but NICE decided that four drug treatments for the disease should remain unavailable on the NHS because they did not meet NICE criteria for "cost-effectiveness". The drugs cost between £20,000 to £35,000 a year per patient and although they cannot "cure" advanced renal cell carcinoma or cancer that has spread from the initial tumour they can help extend a patients' life by around five to six months. Sir Michael told the Observer other patients would have lost out: "We have a finite amount of money for healthcare, and if you spend money one way your can't spend it another."